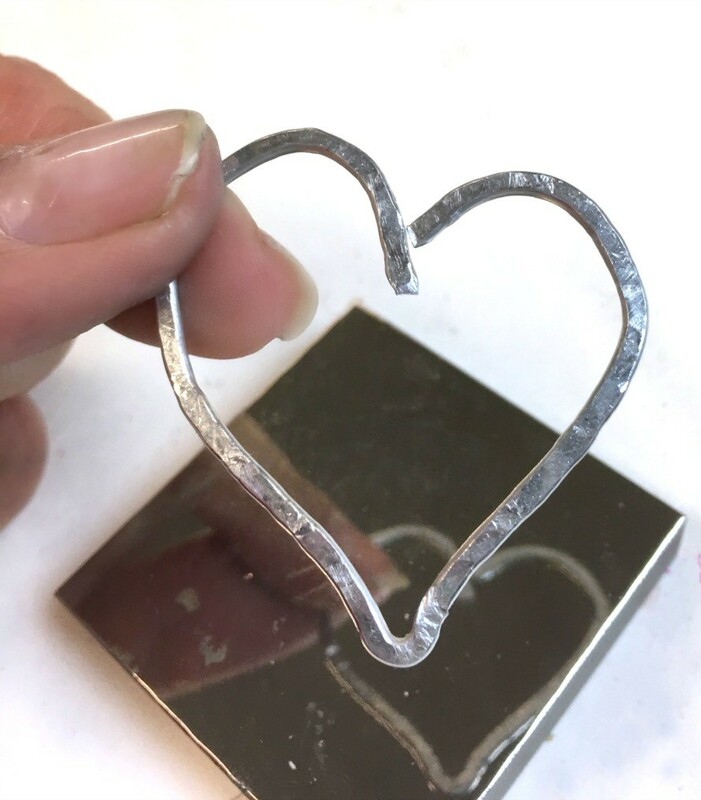 Remember the Hammered Heart Earrings I made a while back? 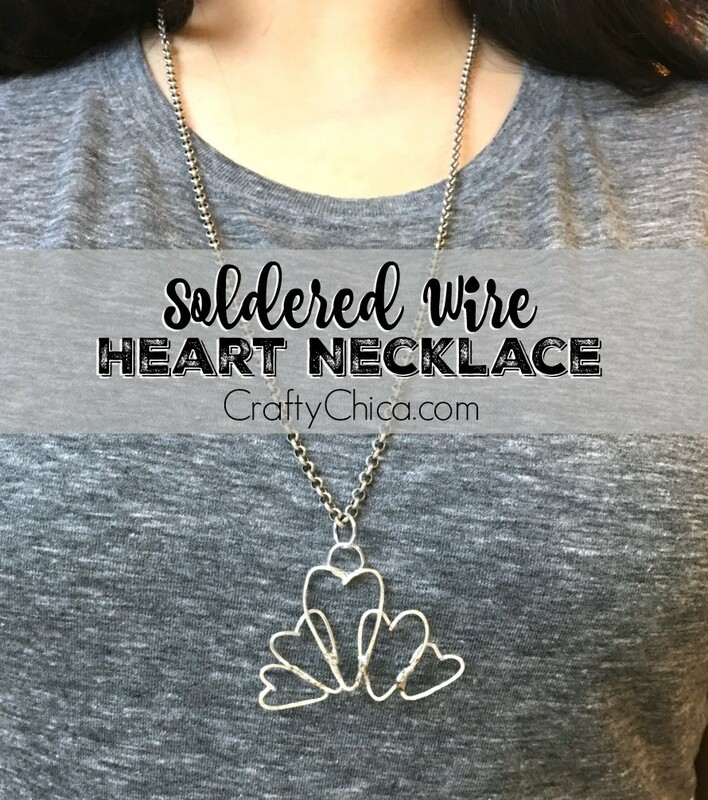 I loved that technique so much, I made this Soldered Wire Heart Necklace to match! 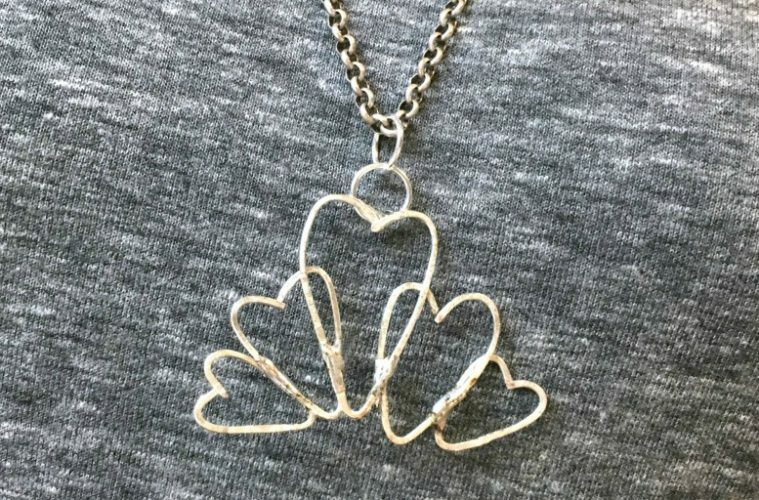 It’s perfect for Valentine’s Day, or any time of the year. This was actually my first try with this pendant, and I’m pretty happy with how it turned out! 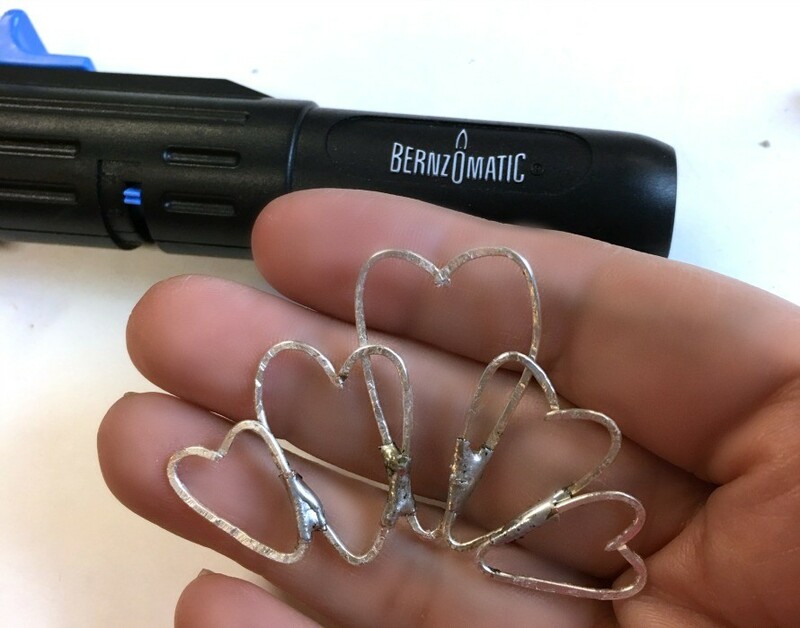 And as a Bernzomatic Torch Bearer, I was happy to incorporate my handy, beloved 3 in 1 tool – the ST500! 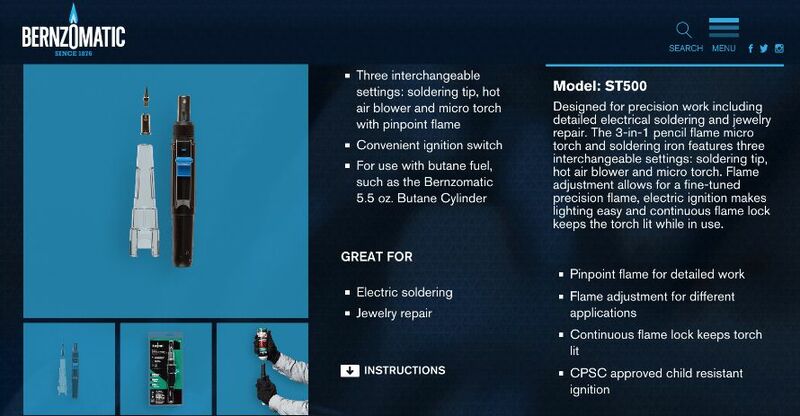 It runs on Butane, and you can use it as a solder iron, hot air blower and a micro torch. 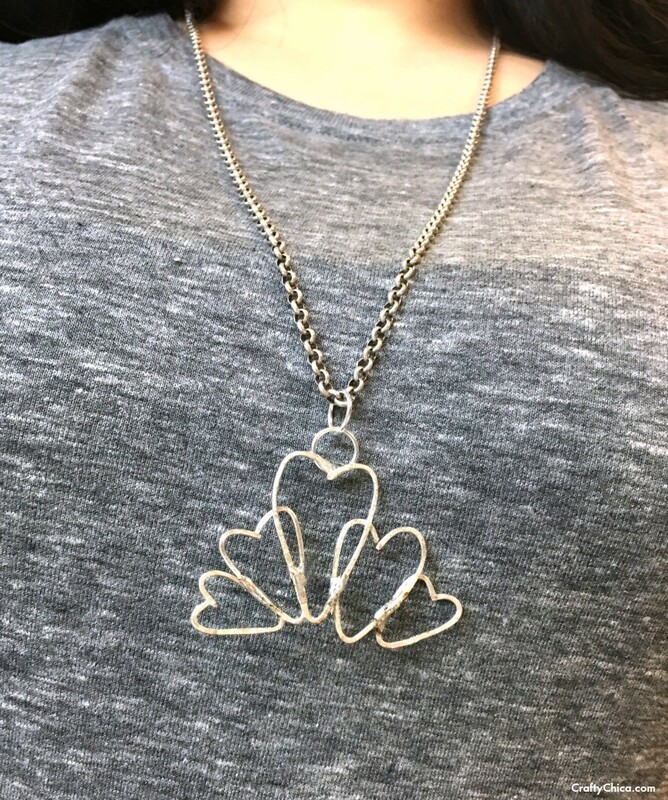 I’ve been doing a LOT of jewelry making with this, and I’m loving the results! 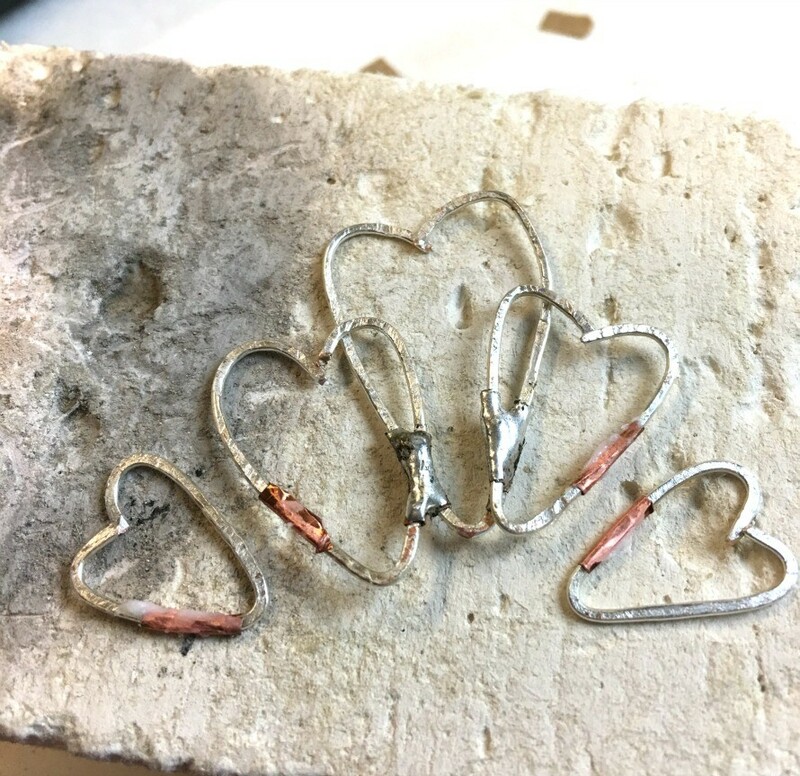 For these pictures, I’m using 12-gauge wire, just so you can see the technique. 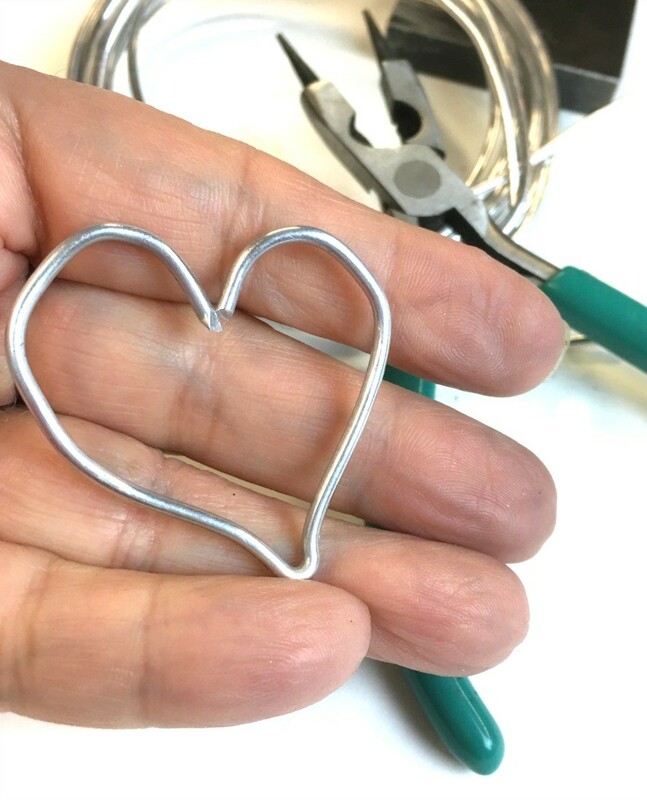 First, cut off a piece of wire and shape it in a heart. 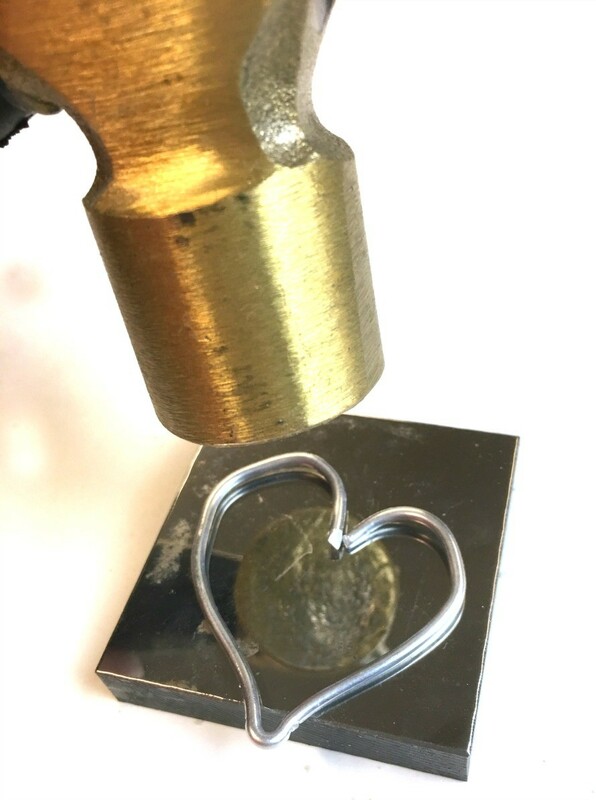 Place it on the metal stamping block and carefully hammer it flat. Hold it in place, but watch your fingers! You can also use tape to secure it. Flip it over and hammer the other side. It’ll look something like this. Because you hammered it flat, it makes the wire very firm and stiff. Make one large heart, then two medium, then two smaller. In order to solder these, we need to add a bit of copper tape around the area where we will be soldering. 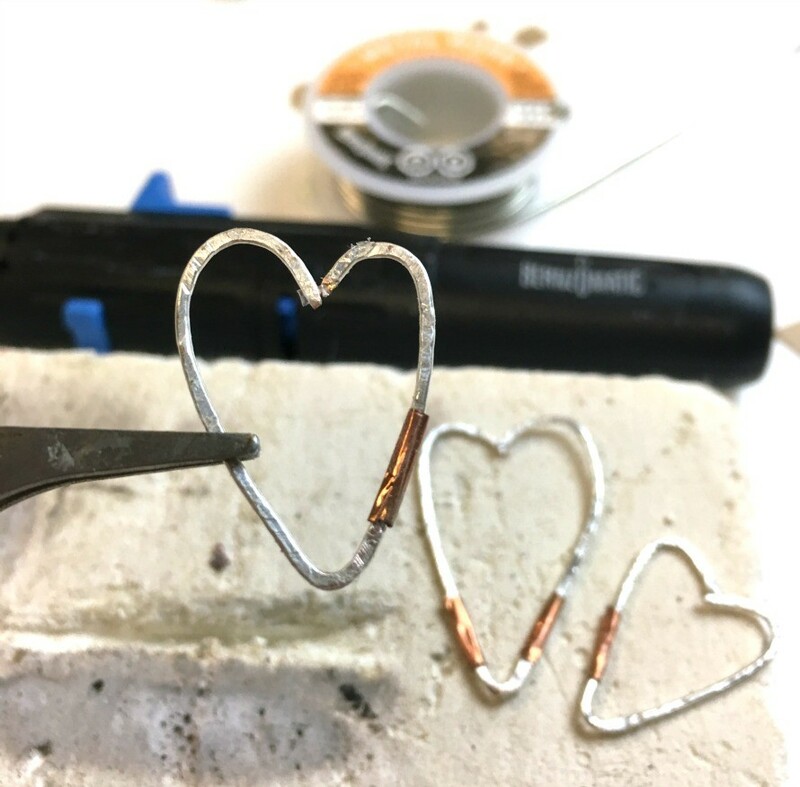 NOTE: If you use sterling silver wire (not plated), you can skip the copper tape. Coat the copper tape areas with flux. Put on your goggles and gloves. Turn the flame on setting 4, click the safety button, switch the tool ON. Allow the iron to heat the solder until it melts, and drag it across the copper tape. 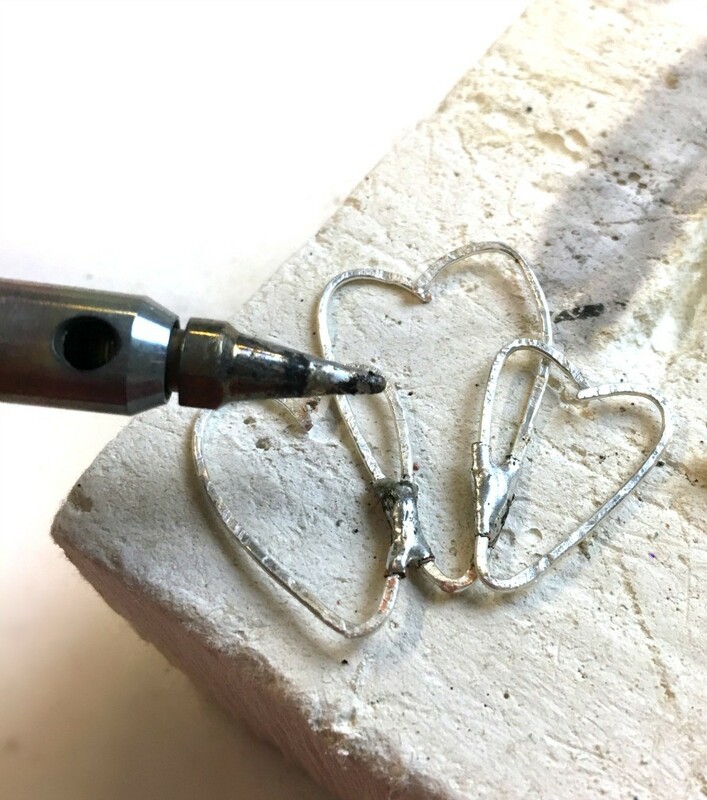 While the solder is hot, use a pair of long needle nose pliers and hold the smaller heart in place and add solder to that. Run the iron evenly over the area to smooth it out. Continue until you have soldered all the hearts together. Here you go! To clean it up, rub in some Penny Brite and it will remove the black areas. 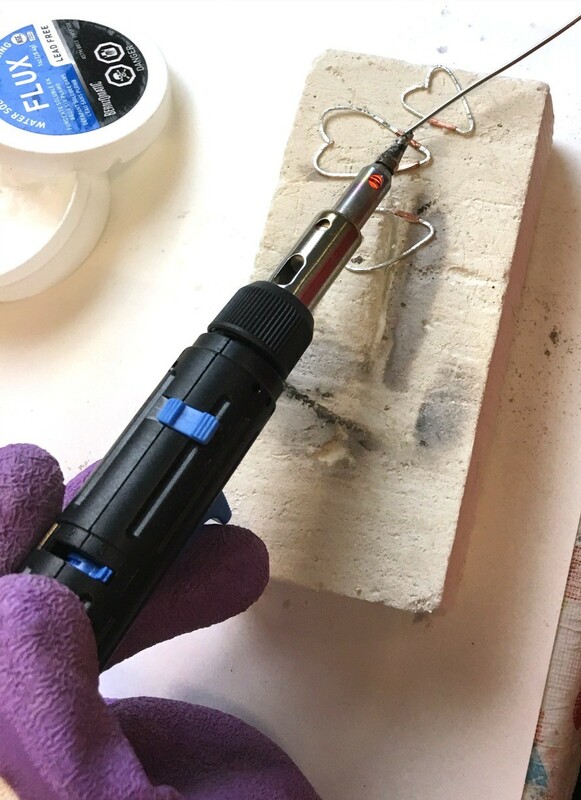 Repeat the copper tape process to affix a jump ring. And you are done! My next plan is to make more of these and use them as bezels! Thank you so much for checking out my project. 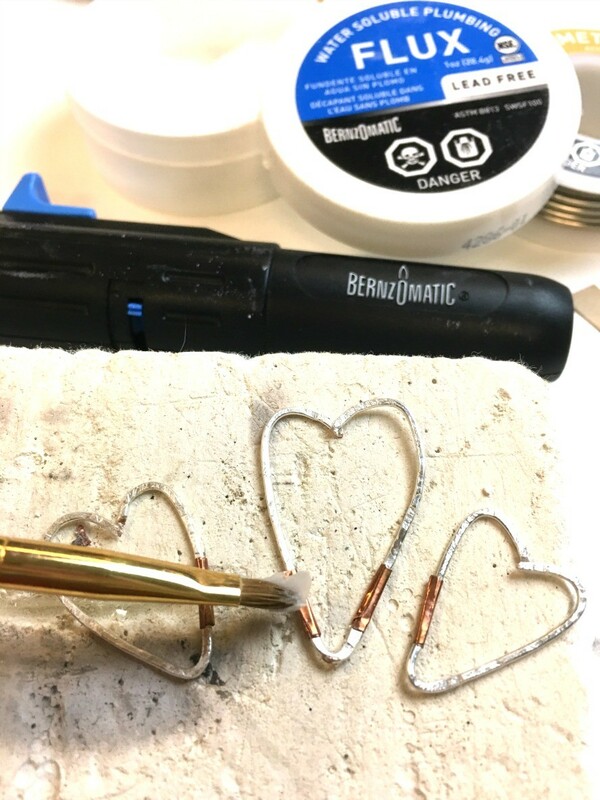 You can find Bernzomatic products at Home Depot and even on Amazon! This post is part of a sponsored campaign with Bernzomatic. All ideas, opinions, and the excitement to work with this new art genre are 100% my own. That is so cute. I’m seeing a tiara in the future!